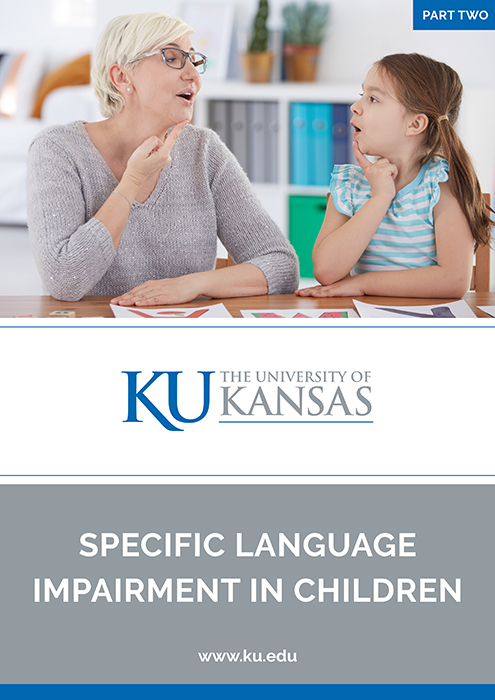 The author, Professor Mabel Rice of the University of Kansas sheds light on the issues of specific language impairment (SLI) in children. Here, we learn that SLI is a language disorder that delays the mastery of language skills in children who have no hearing loss or other developmental delays (affecting 7-10% of children). One vital point the author underlines is that it’s crucial to increase the identification of persons with SLI, to help them cope with the misinterpretations of their language limitations and to provide them with needed help with language and related skills, such as reading and peer acceptance. In another piece, Mabel L. Rice argues that children’s utterances provide valuable clues about how their language develops and explains hallmark areas of grammar weaknesses in those with SLI. One aspect of this is that language appears late in children with SLI, although other developmental benchmarks follow age expectations. At the time of writing, the causes of delayed language acquisition are unknown. The insights do not stop there. We also learn that it has long been held that a mother’s education is a key factor in the development of their child’s language. However, the link may not be as strong as previously thought, writes Mabel L Rice. Given the current spotlight on maternal education, she argues that now is time to revisit what is known about the relationship of maternal education with children’s language acquisition and whether it plays a role in risk for SLI. Finally, we find out about the important differences between SLI in children and speech sound disorders (SSD) in children, by the experts Mabel L. Rice, Fred & Virginia Merrill at the University of Kansas. One key point the expert authors convey is that people often assume SSD is the same as SLI, in that children’s speech abilities reflect their underlying language abilities or vice versa. This is not true, the authors note. To find out about these compelling areas of SLI please get in touch with Mabel L. Rice at the University of Kansas by emailing mabel@ku.edu, or perhaps you would just like to visit their excellent website to learn more this major research university with a global reach.